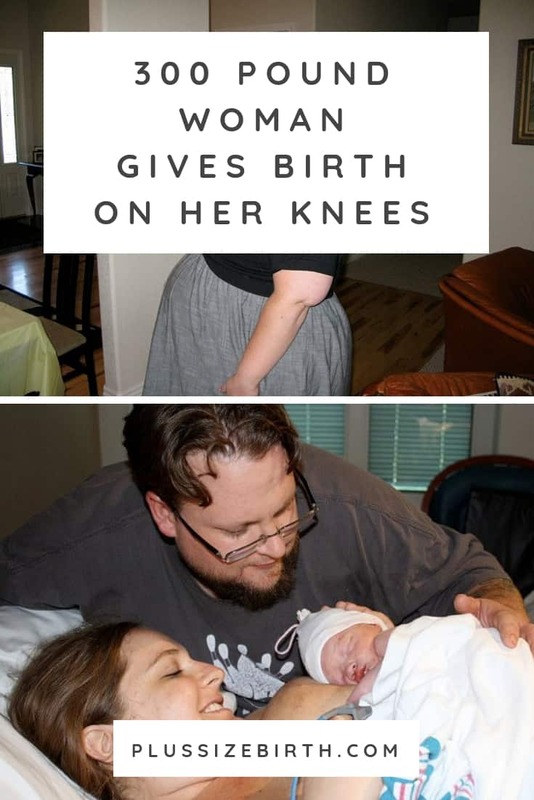 Google “obesity and pregnancy” and you’re quickly led to believe that plus size women can’t have healthy pregnancies or give birth vaginally…let alone on their knees. Yet, six years ago, I did just that! As a nearly 300-pound woman, I gave birth to my son on my knees after a completely healthy plus size pregnancy. This was truly the most extraordinary day of my life! It was a day when, for the first time ever, I learned to embrace the strength and beauty of my body. It was the day I re-wrote every message in my head that had told me my obese body was incapable and unacceptable. It was on this day, I brought my son into this world on my own terms with the respect and dignity we both deserved. This day could very easily have never happened. Four months prior to that fateful day, I was under the care of an OB-GYN who gave me my 15 minutes and then went on with her day. An OB-GYN who I would later learn only allows women to give birth in the lithotomy position (laying on their back). This was also the same OB-GYN who had cared for two of my former co-workers who both had cesarean births. I thought I was doing all the right things to have a healthy pregnancy while living in a plus size body. I thought I was on track to have the type of birth experience I wanted. I was dedicated to water aerobics three times a week and ate healthier than I ever had. Yet when my husband and I hired a doula she questioned my selection of a posh OB-GYN clinic and hospital that offered fancy labor suites. My doula knew I wanted a natural childbirth and also knew the odds were against me with the choices I had made for my care provider and selected medical facility. She recommended I do some research and consider a hospital midwifery program. I thought I had done everything right. And sure, maybe everything would’ve turned out just fine; there’s no way of truly knowing. All I do know is that, after changing providers, I went from 15-minute appointments to 45-minute conversations and examinations where every single one of my questions was answered with care. I went from quick, cold exams to the gentle touch of a midwife who would laugh when my son would kick her while she touched my body with compassion. 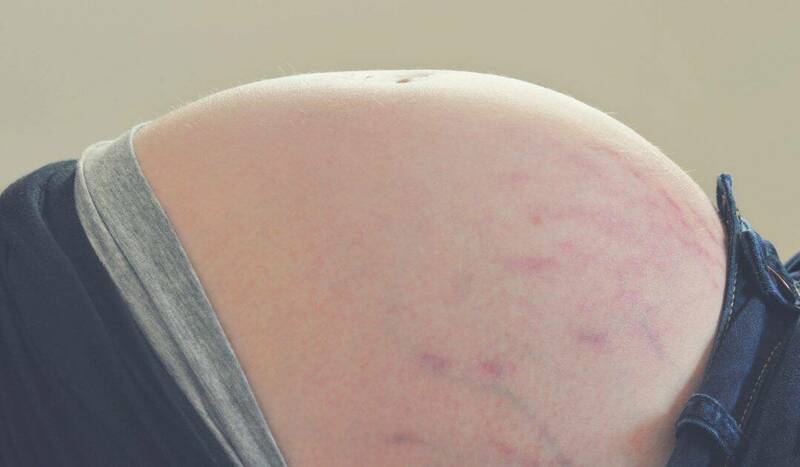 I went from merely hoping to give birth without medication to starting to believe that my body was truly capable of doing just that. And I did! 6 years ago, weighing nearly 300 pounds, I gave birth to my son on my knees! Even though you don’t read stories like mine often, the truth is plus size women can and do have healthy pregnancies and positive birth experiences all the time! Sometimes it takes a change in care providers as I experienced. Other times there’s a connection with a size friendly OB-GYN or midwife from the start. Sometimes nothing special or specific occurs, aside from of course how miraculous pregnancy and birth is on its own. I wish the headline, 300 Pound Woman Gives Birth on Her Knees, wasn’t something that sounds unbelievable to some because I’m not an anomaly! I’m just a plus size woman who did everything within my power to have a healthy pregnancy and then connected with an outstanding birth team. I’m one of many and our stories need to be heard! Over the past 5 years I’ve dedicated my life to supporting thousands of plus size people during pregnancy, birth and postpartum. I’ve become a certified childbirth educator and now travel the country speaking to birth professionals about supporting plus size birth. I’ve compiled all of the questions I get asked most often and the questions I wish women would ask me into this My Plus Size Pregnancy Guide! I love this piece so much! Thanks for writing about your experience. I had the same experience in 2011. Five years ago. I’m expecting my 5th child now and everything is great as always. That’s awesome mama and congrats on your 5th baby!! 235 with my first homebirth (transferred to hospital but still had vaginal birth). 265 with my 2nd homebirth. 285 with my 3rd homebirth. Doctors’ offices and even the midwives at those were not very supportive of a fat lady having a baby. The only people who ever truly supported me no matter what were my homebirth midwives. I am happy you found what you needed to get the birth you wanted. Thanks for sharing!